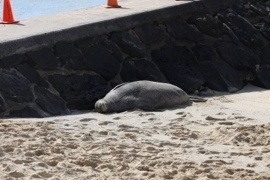 Local Hawaiian Monk Seal, Rocky, hanging out in Waikiki. They even put up cones so no boxers can start a fight. 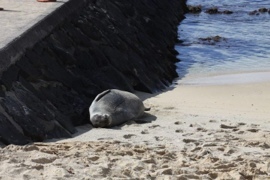 What the heck is a marine protected area?